Fiona Philips is probably best known for her 12 years on the GMTV sofa. This role saw her interview giants of entertainment, politics and current affairs, whilst breaking the big stories and issues which the country woke up to each day. Throughout her career, Fiona’s authenticity, warmth, intellect and sense of humour has won her the affection of a national audience and seen her build a reputation as one of the country’s most well respected broadcasters. More recently Fiona has presented BBC1’s the Truth About Sugar, Truth About Stress and Truth About Healthy Eating, as part of the channel’s investigative science documentary series. She also fronted the ratings hit The Trouble With… Marks & Spencer for C5 and Holding Back the Years for BBC1 which explored living longer and healthier, whatever your age. With footholds in both factual and current affairs, Fiona is also no stranger to shiny floor entertainment having participated in series three of BBC One’s Strictly Come Dancing. Having started her career in independent radio, she has also hosted a number of popular radio shows including her own Sunday morning show for BBC London and Smooth Radio and regularly presents a podcast series where she interviews the CEO’s of large, national brands including BT. 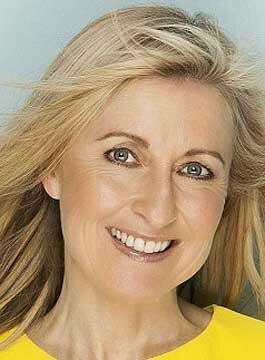 She also writes a hugely popular weekly column for The Mirror and has written editorial for a vast array of publications including Woman and Home, Good Housekeeping and the Saturday Express Magazine. Having forged a successful career on screen, Fiona is also a published author having released her bestselling book Before I Forget. Off screen, Fiona Philips is an experienced conference presenter and awards host.